In the 103 degree heat of a July morning in Williamsburg, Virginia in the low-lying steamy Tidewater where so much of early American history was born. 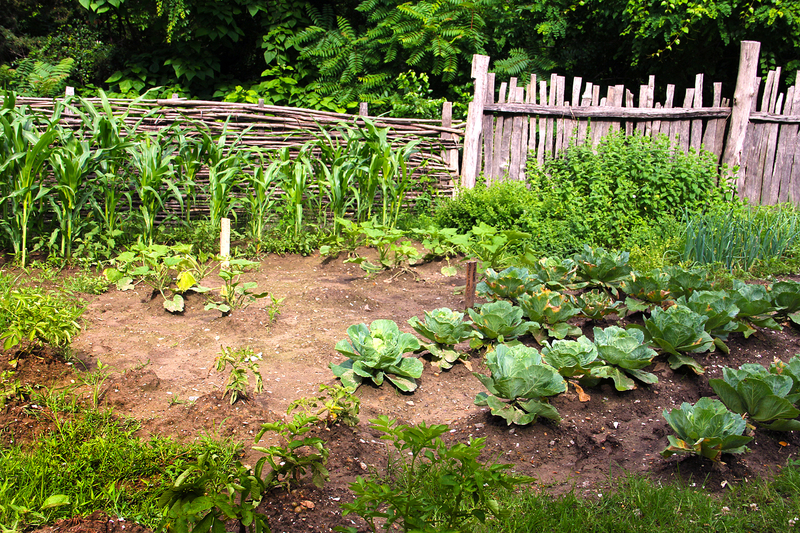 I am on the grounds of a recreated middling plantation known as “Great Hopes,” interpreting a small tobacco farm staffed by–we can imagine–anywhere from 12-20 enslaved people working tobacco, corn, cotton, fodder and vegetable gardens. Chickens, pigs, oxen, horses, cows, make up the remaining biota. 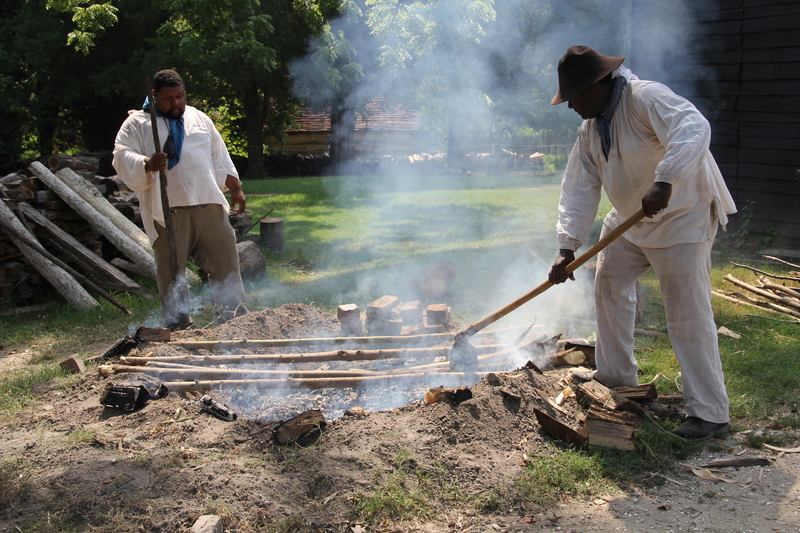 I joined the interpreters of Colonial Williamsburg in order to orchestrate a dream of mine—to reconstruct a colonial Southern barbecue the way enslaved people might have known. Drawing on a 19th century Virginia recipe hearkening back to “a 100 years ago” (in this case 1780-1790) the meat was prepared over a sapling grill over oak and hickory logs that had burned down from a roaring fire to a fine hot bed of coals, and then tossed soaked hickory and oak chunks over the coals to produce a steady flow of steam and smoke to give the meat flavor. 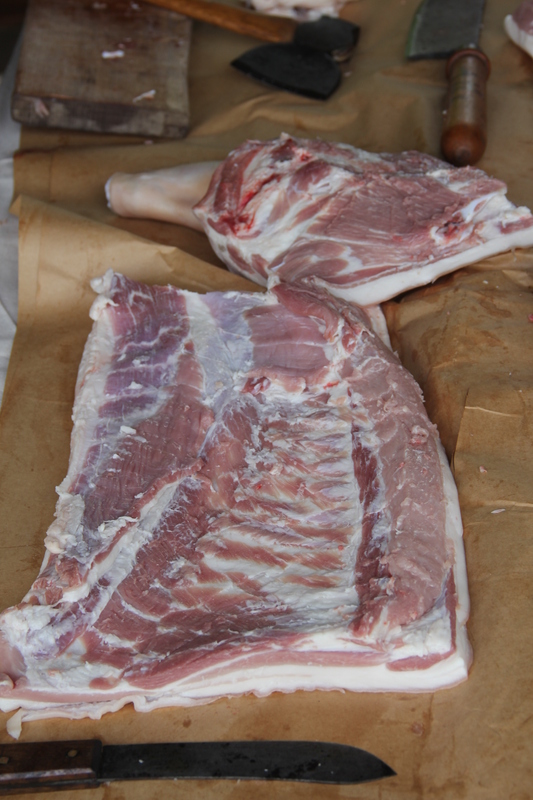 Ossabaw hog parts, drawn from a popular Southern heritage breed—ribs, chine and tails; joined chickens and other ribs and animal parts on the makeshift sapling grill. Joey cut poplar and pawpaw saplings and green branches in the woods, still wrapped in their bark. They were washed and soaked repeatedly to give them longevity for the four or five hours needed to ensure the meat would be thoroughly cooked. 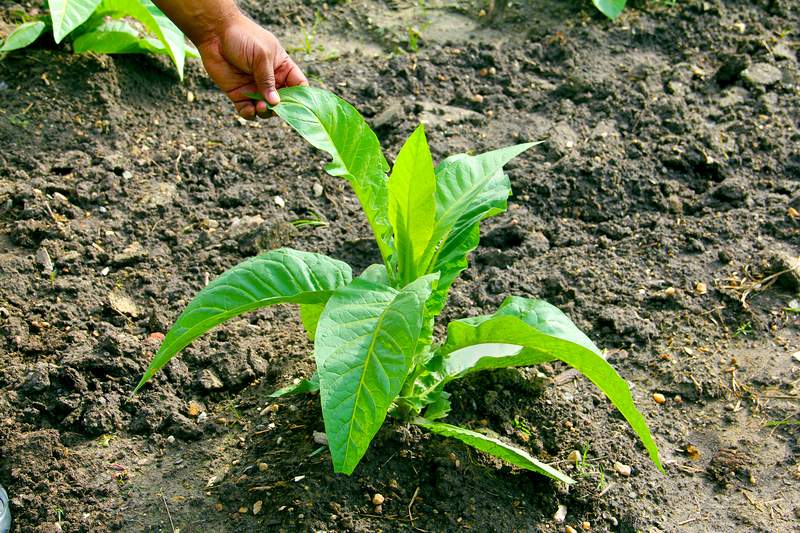 Cooking over sticks and saplings was known to both early indigenous Virginians as well as the indigenes of the West Indies, where the word “barbacoa,” was encountered by the Spanish in the 16th century. The word barbecue also has roots in West Africa among the Hausa, who used the term “babbake” to describe a complex of words referring to grilling, toasting, building a large fire, singeing hair or feathers and cooking food over a long period of time over an extravagant fire. In West Africa, unlike early America, the roasting of fowl, game, goats and cattle in the savannah and Sahel was associated with celebrations, funerals, and the like. Animals might also be half-smoked en route from the bush to the homestead and rubbed with specific herbs and spices to ensure against spoilage or insect infestation. 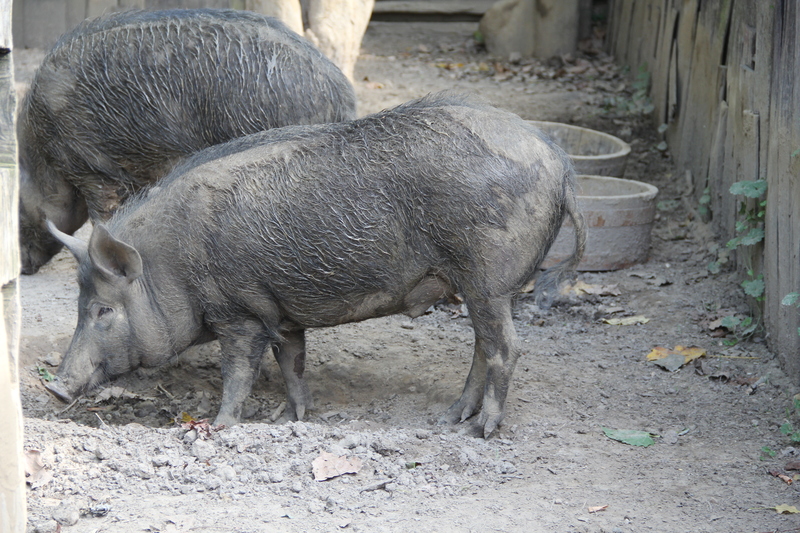 Absent from both West Africa and the West Indies was the pig (Sus scrofa), the Middle Eastern immigrant domesticate that quickly became popular across Eurasia. Also the Eurasian tradition drew on the practice of smoking meats. Barbecue was co-evolved in the New World, but certainly bears specific markers showing its West and Central African roots. Highly spicing meats, the roasting of whole goats, the use of peppery sauces or pepper vinegar, parboiling in some cases, the use of the wooden grill framework, the long and slow cooking process, sauces that utilized tomatoes, onions, peppers and the like, and the social context of barbecue—as a tool to promote social conviviality and community—hearken back to the culture’s African roots. Even as barbecue certainly has roots among Native Americans and Europeans, it was enslaved Africans and their descendants who became heir to multiple traditions and in turn incorporated those traditions into a standard repertoire known as Southern barbecue. I recognize barbecue as a multicultural, co-evolved culture rather than the sole product of any one of the individual ethnic blocs to which we owe its existence. However we must cease and desist those efforts that would divorce barbecue from its African roots, connections and narratives rooted in slavery and the African Diaspora. The barbecue was always inherently political—as a “gift” to enslaved people it bought good will, discouraged resistance and rewarded people pushed beyond their limits….an old, sick, injured or surplus animal (there may not be enough grain or fodder to feed it…) was culled and divided up. In this example we barbecued spareribs, chines, tails, and other parts; and whole chickens demonstrating the culinary divisions between the planter’s family and the enslaved. As a tool of political coercion, barbecues were used in early Southern culture to foment connections among planters and their families and later became a critical ingredient in the performance of political rallies and the selling of candidates. Again, enslaved men were in many cases the early pitmasters, and their “wok presence,” is felt both in the documentary evidence left to us as well as the recollections and memories left by Southerners of generations ago as well as those for whom this is a living memory. As early as the 18th century, Peter Kalm was describing pepper vinegar as a popular ingredient for the seasoning of roasted meat. Pepper sauces were most commonly described along with the culinary preference of Africans and their descendants for the “bitey” taste. Rich, red, mwamba gravies from Central Africa, colored by palm oil and tomatoes and hot peppers and anything else on hand seasoned fowl and other animals grilled, roasted or cooked in pits. Today, peri-peri roasting as practiced in Central and Southern Africa, where meat is rubbed and dipped in a spicy mixture or sauce recalls the Portuguese spreading of chilies from the New World to Africa, where birds spread the seed and Africans adopted the pepper alongside their own repertoire of spices using them to give flavor and spicy intensity to almost every savory dish. In West Africa, suya cooking is practiced by the Hausa, Fulani and their neighbors in the savanna and Sahel, utilizing a spice rub that is liberally applied to brochettes of meat roasted over flames. 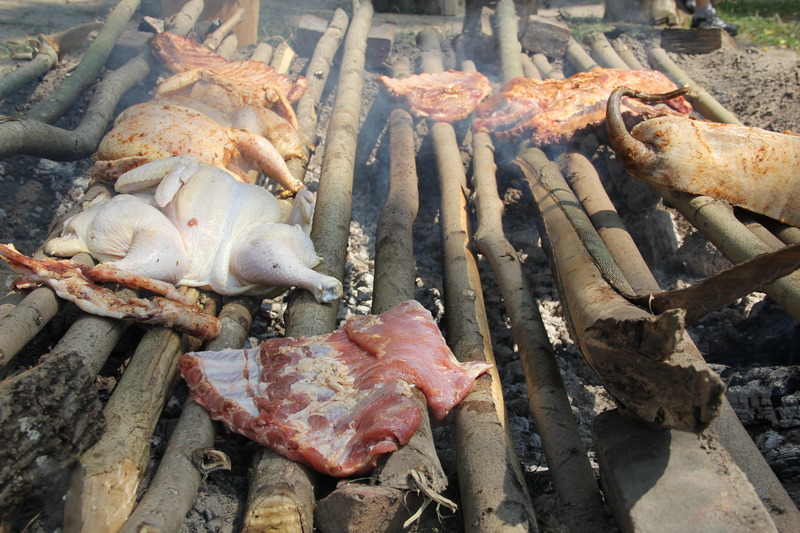 The roasting of bush pigs and other game undoubtedly added to a knowledge base that was easily transferred to two other cultures for whom roasting over a wood fire was a common and popular way of preparing meat, fish and other foods. In the West Indies, allspice and pimento wood were adopted from the local Arawak and Carib populations as the key wood for the barbecue as known there. These woods give flavor and character to the meat, much as oak, hickory, pecan, apple, sassafras, cherry and other woods season North American barbecued meats. 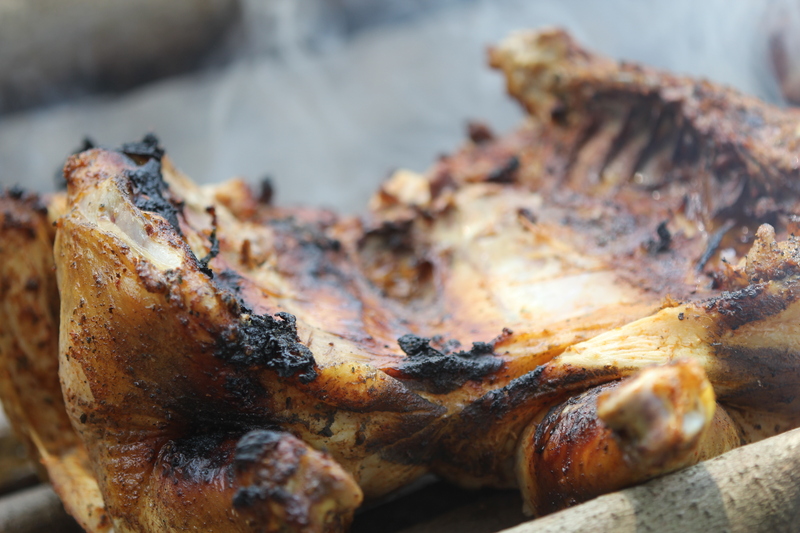 The co-evolved tradition of “jerking” meat as known in Jamaica and other parts of the West Indies may or may not have influenced American barbecue. 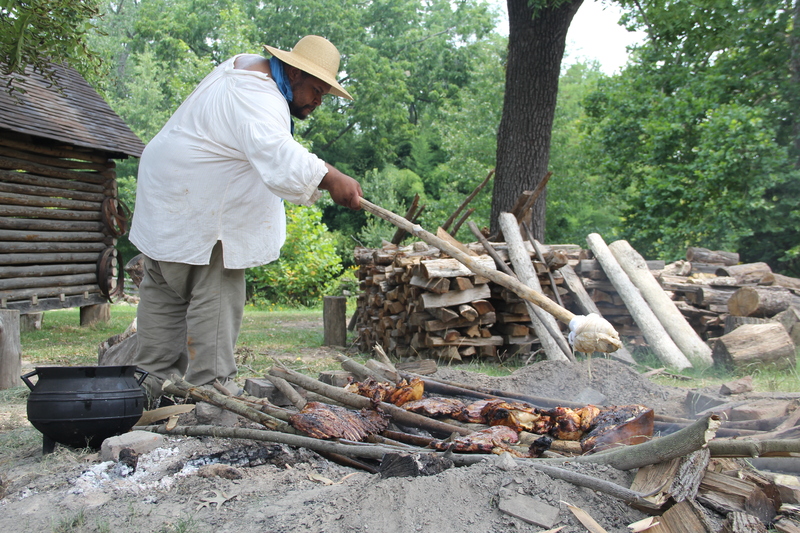 At any rate, early Afro-Caribbean, West and Central African, and early African American cultures brought together indigenous, African and Western European elements to create and develop a uniquely Southern art—barbecue. As we gathered our saplings, we realized the meat had to be seasoned. The seasoning is proprietary but included red peppers, salt etc. while the mop used cider vinegar, butter, onions, salt, sage, water and red pepper was continually dipped, soaked and dabbed on the roasting meat as suggested by the Virginia recipe. It is difficult to say where exactly this method of using the stick grill started or where. Some might say the most ancient cooking traditions of Africa, and in most African market places today bits of wire or grates, much as in the rural South, have replaced the traditional stick frame. In Jamaica, the maroons, West African men and women who escaped slavery and went into the hills to live a separate existence often cooked using the barbecue method enjoying their jerked pork, fowl and game. From Jamaica to Virginia to Louisiana, the Carolinas and Maryland, early forms of this roasted meat tradition began to evolve. Eastern Algonquian, Muskogean, Siouan, Senegambian, Akan, Southeastern Nigerian, Kongo-Angola, British, Scots-Irish and German traditions began to stew with French, Spanish, and mixed Afri-Creole traditions from the West Indies and Latin America. Over time, as Caribbean people migrated back and forth from the islands to the maindland, and as enslaved people were moved across the Southern landscape and sold from Baltimore and Norfolk down to Natchez and New Orleans, barbecue traditions spread and took on regional forms. Kentucky lamb cues hearken back to English tastes brought from the upper Chesapeake, while the Grandaddy of cue—pepper/vinegar cue from the SE VA-NE NC hearth spread out through the eastern tidewater, while in South Carolina other forms tied to the Afro-Caribbean and high volume of enslaved Africans directly from the Continent developed that would penetrate the Deep South during the spread of the Cotton Kingdom. Where these recipes matched, they rubbed off on one another, where they did not, regional boundaries were drawn, as in Texas, Tennessee and other places where barbecue culture cooked long and slow into the forms we now know today. Barbecue specialists recognize Eastern North Carolina, Western North Carolina, Memphis, Texas, Kentucky, and sometimes Alabama/Mississippi schools of barbecue. I would include Maryland “bull roasts,” and other regional traditions as well in a larger historic reach to show the variations the culture has taken. We need to recognize the blurry lines between contemporary practices and what was actually known in historic periods. In other words—we have to be careful not to be too anachronistic in our approach. With a fire established by 8, the meat was cooking by 10:30 and remained on the fire for several hours, finally coming done around 2:30 pm. The results were mixed. Some of the meat was drier since the hog varieties were different—Ossabaw ribs are not modern hog ribs—and therefore cooked more quickly but the staff enjoyed them just the same. These needed repeated bastings to ensure moist meat. They were moved to the outskirts of the pit—dug about 18 inches deep—where the smoke would penetrate but the meat would not burn over the fire. The fire flared as the drippings and fat fell into the pit, and they were doused by sprinklings which eventually re-erupted as the morning went on. After an hour or so the flaring ceased as the meat was moved to ensure as even cooking as possible and to avoid overheating certain spots. The saplings themselves began to get thin over several hours and several had to be removed and replaced, but overall most of the sapling grill weathered the five hour process without incident. Because the saplings were thick and sturdy, meat done-ness was an issue for the chicken..some areas were perfectly done while others were under done. 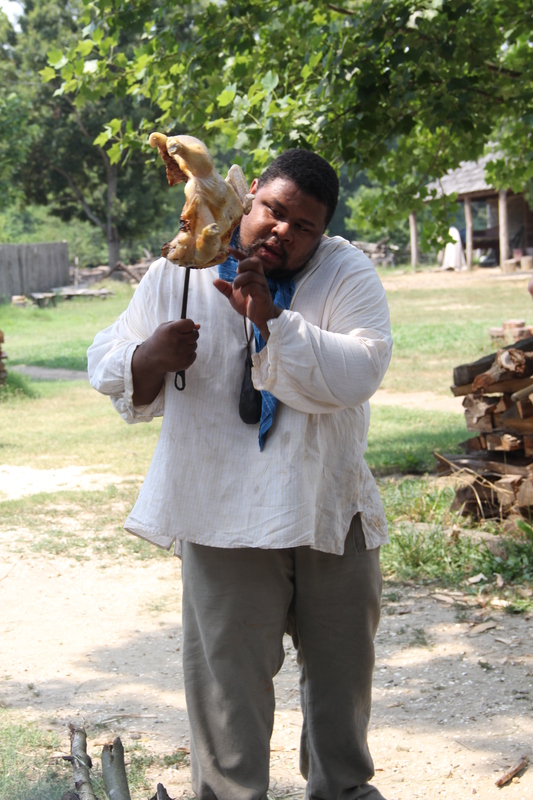 Many enslaved communities may have practiced some form of parboiling. Parboiling in Central Africa was essential for the consumption of the meat by elders. Knowing the difficulties of early dental health and the issue of even doneness in the meat—some form of parboiling may have been practiced, but in this experiment this step was altogether ignored. Those parts that were not done were sent to a cook pot over a steady supply of heat where the meat baked for about 30 minutes, retaining moisture but cooking to bone-done ness. The meat of all varieties was chopped and divided according to preference and dietary need…something that might not have been too different for early African Virginians who carried with them a whole host of dietary and cultural taboos from West and Central Africa. A challenge to the experiment was coming up with other foods that might have been consumed by an enslaved African Virginian community that were in season. Roasting ears—or green corn ears roasted over a fire was an easy pairing as were roasted white potatoes, freshly dug from the end of the spring crop. “Dressed” raw cabbage and cucumber, while not necessarily representative, recalled the frequent notion that “pickles and relishes” were enjoyed with early barbecued meats. Harold Caldwell prepared roasted peanuts, boiled greens, and quick roasted chops of heritage beef and pork over gridirons. 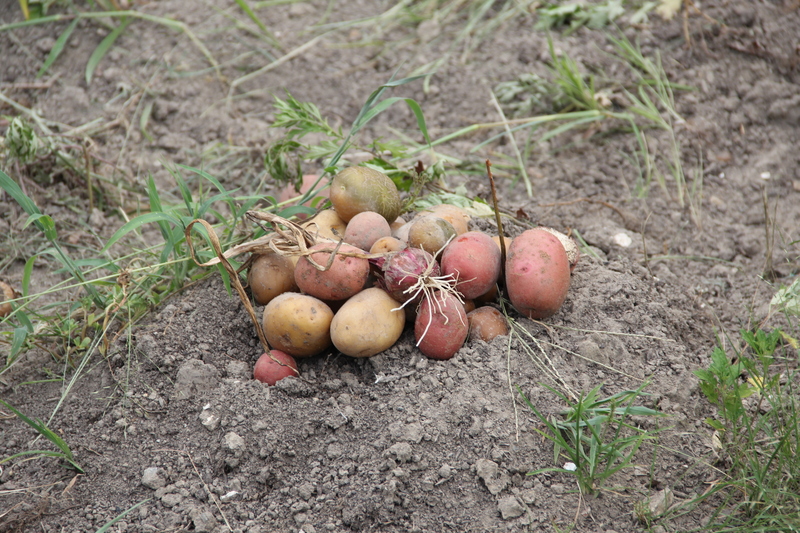 The vegetables were procured onsite as well as from staff member’s gardens. 90% of the meal was locally sourced. Missing from the menu was hot “lightbread,” which could have indeed been a part of such a celebration, any sort of Brunswick stew—which would have been too late for the late 18th century, and cakes, pies, cobblers and the like. While these may have been appropriate for a 19th century, antebellum affair, I felt it best not to include these elements for the sake of time and visual accuracy. The chopping of the meat proved almost as theatrical as the cooking itself as the cleaver blade split up bits of meat and chicken, releasing a sweet but acrid laced steam and gave up pink ringed meat impregnated with the essence of smoke. A light sprinkle of salt and the meat went away in wooden bowls to await the dinner after the workday. In paragraph 4 of your interesting article on barbecue, you state, “Animals might also be half-smoked en route from the bush to the homestead and rubbed with specific herbs and spices to ensure against spoilage or insect infestation.” I am not aware of any spice except salt that actually preserves meat. Was it salt that they used? Certainly some other spices might repel insects—and can of course add flavor—but did you mean that those spices, other than salt, also had preservative properties? Let’s be more accurate–retard spoilage as opposed to preventing it…that I think would be better language. Brilliant post man. Thanks for the history lesson, you’ve got a way with words. Can’t wait to dig through your backfiles. I humbly appreciate your knowledge and platform. Several Blue Ridge area chefs and I are putting together an evolutionary dinner in November and love your work as educational reference. Thank you for the passion you have and continue to share. I intend for my interpretations to pay respect to historical and regional Virginia in regard to method, ingredient, and profile, old and current. Most of my gained knowledge is owed to your works. I just want to say, I’m enjoying this SO much. And seeing the joy you bring to this work is an inspiration. This is a wonderful find for me! I am a white daughter of a South Carolinian and a New Yorker. I have an adopted African American son (and some white kids too) and we live in Texas now. This is so beautiful, how you are weaving all of our stories together, with wit and respect at once. Bravo! 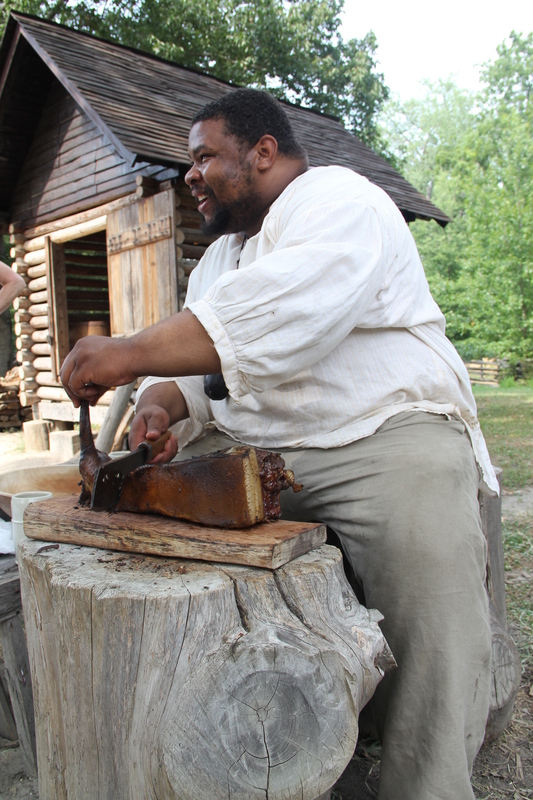 Fascinating historical reconstruction of BBq culture & techniques. I have read in a number of sources that etymologically the Taino Indian word passed through Spanish interpretation – barbacoa. Considering the similarity to “babbake” the two terms possibly merged in the Americas & Caribbean . I have been keeping a Media Literacy eye on accounts of BBq history since hearing your interview on CBC Q. There is definitely a “constructed reality” and a set of “values, beliefs & Ideologies”. References to Black & Slave contributions to the BBq are either absent or glossed over. Thank you for your insightful comment. It’s almost an effortless omission on the part of many. One of the most original posts I have seen in a long time, I learned a lot! I look forward to reading through your archives. Tomatoes come from the new world, dude! But only the Spanish and Africans really used them…the English took their time! And as for the Italian tomato sauces, they took a long time before they would eat the poisonous things. Oh, I’m white born in central Florida of Floridian and South Georgia/English/Scot/Irish ancestry. I can remember many of these things as everyday occurrences in my childhood, I’m 71 now. Many of the things attributed to African-Americans as to food were my daily intake. Greens, cornbread, black-eyed peas, hamhocks, BBQ, fried chicken and many others. Quite an interesting take on open fire cookery. A few points to add, A quick search for the “Rich, red, mwamba gravies from Central Africa, colored by palm oil and tomatoes and hot peppers and anything else on hand” speaks of peanuts or peanut butter being often added. Sort of a variation on the Indonesian sate sauce as both seem to also include ginger, chilies, garlic, onions, but differ with sate using coconut milk and mwamba instead having tomatoes added. 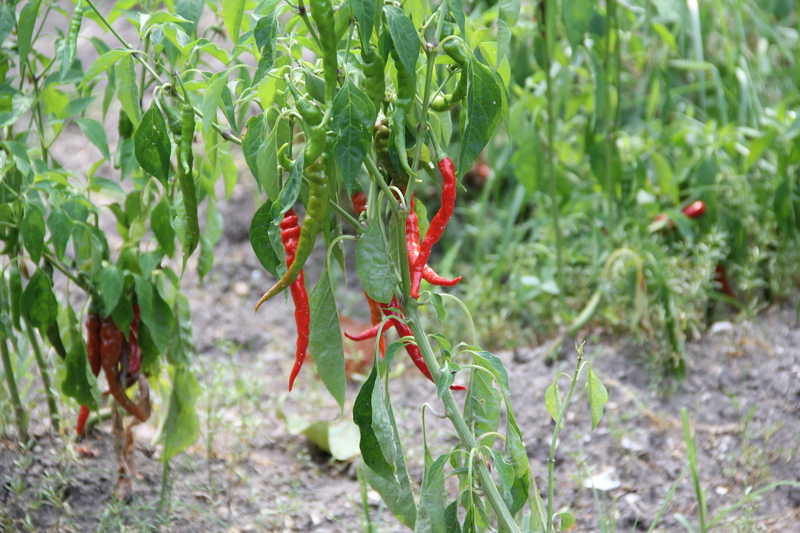 Wat sauce of Ethiopia also has much similarity with its tomato, chili, shallot, ginger base. 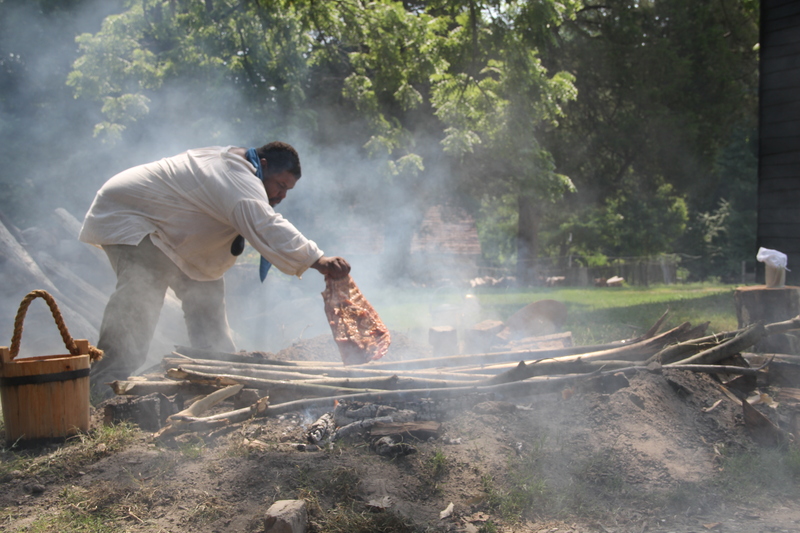 Etymology, Barbacoa seems to be a Spanish version of the Tiano word bara-be-qu that I’d read meant sacred fire pit. 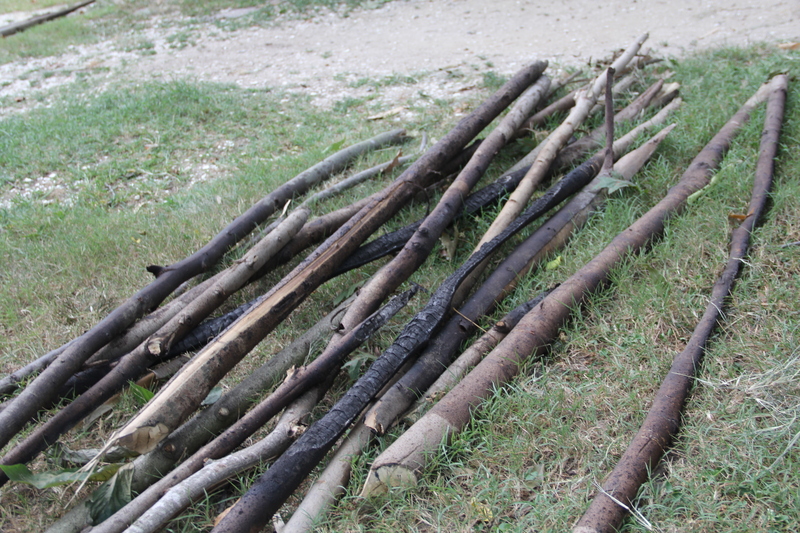 In my many global travels studying cookery (especially over open fire), I saw that this green wood poll method was also utilized in Boston Bay, Jamaica where they make a strong claim to the invention, or at least the origin of jerked meats, fish and fowl. 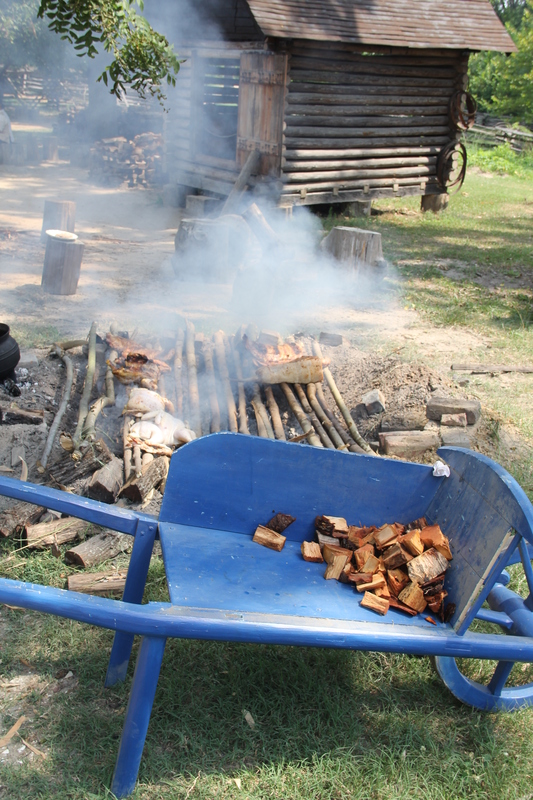 Though it is generally espoused that such techniques were taught to the maroon by the few remaining local natives, certainly African culture is no stranger to wood roasting and smoking…. I’ve been reading a lot about open fire cooking and experimenting with it myself in my fire pit in the back yard. I’ve come to the conclusion that the hot coals should be in the back of the fire pit and the meat should be in front of it so the fat cannot drip on the hot coals which can give the meat a fowl taste. I’ve never tasted open fire pit meat cooked both ways and done a side-by-side taste test, but this seems to make sense to me: hot coals in the back, meat in the front and some even have a drip pan for the fat under the meat. The meat closest to the hot coals probably has to be rotated if you are not cooking on a spit.